Posted by Andrew Whyman under Technology, on 29 March 2015 @ 10:31am. 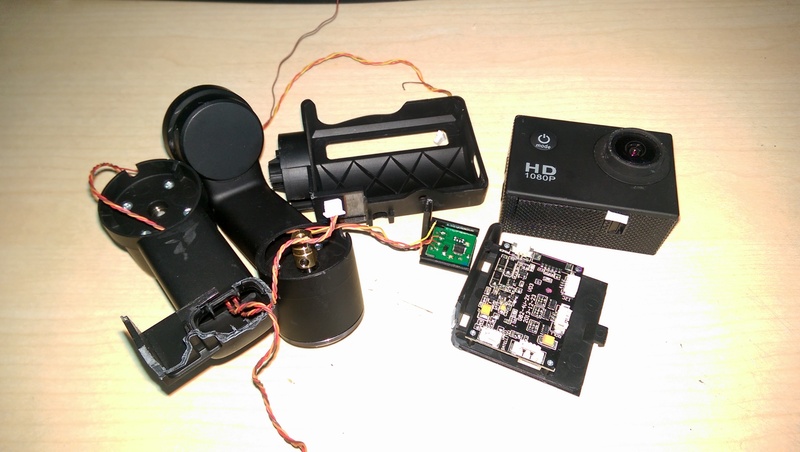 I recently had to update my new CGO2 camera for my Blade QX3 350 AP Combo as it refused to work with my Android devices (HTC One M8 and 2013 Nexus 7). It wouldn’t show up in the wifi list so I couldn’t connect to it. This happened on all of my 5.8GHz compatible Android devices even though it claims to be 5.8GHz compatible. A quick firmware update to the latest version seemed to allow it to work. It showed up in the list so I could connect as expected. Disclaimer: The firmware file is provided as-is. I accept no responsibility if this update process fails in any way. 4. The light on the front will begin flashing purple after a few seconds. 5. Do not turn the camera off during the update process or you may brick the camera! 8. Put the memory card back into the camera and power it up. It’s now ready for use. The default wifi password for the CGO2 camera is 1234567890. Posted by Andrew Whyman under Technology, on 7 March 2015 @ 5:40pm. 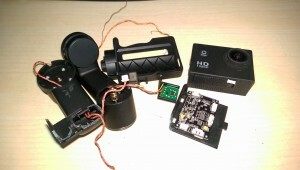 You might remember the quadcopter from my last blog that I talked about. Well the inevitable happened and it’s malfunctioned quite badly. The end result was horrible damage to the quadcopter and the gimbal has been smashed to pieces beyond repair (outside of purchasing every piece of it separately). 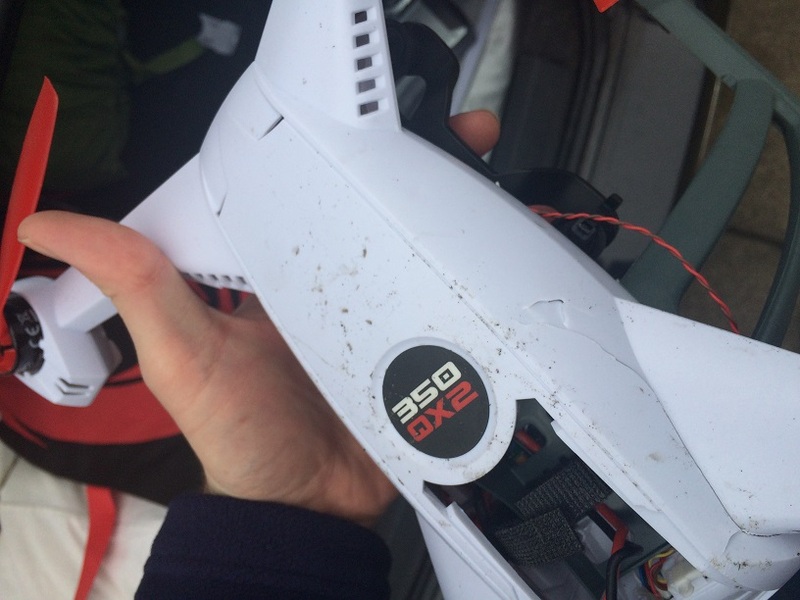 You can see below the damage done to the quadcopter and after that I’ll explain what happened. I planned on showing a few friends the quadcopter at a gaming event we met up at as they had not seen one properly before. What better reason to get it out, right? It was dark outside so I planned just a quick flight to show them what it could do with the intention of a proper one the next day. The takeoff was normal, but because it was a quick flight I didn’t turn on the camera. The gimbal was on however because it was still connected to the quad. After takeoff I hovered for a few seconds, then decided to do a quick ascent to show how quickly it can move. After 2-3 seconds I got a low battery warning on the status LED, which is not unusual under full throttle and I’ve had it happen before lots of times. I backed off and descended back down from about 30m to 10m or so. I held a slow descent straight down when suddenly after a few seconds the props seemed to go to idle and the quad flipped upside down. Within 2 seconds it was tumbling along the floor with pieces flying everywhere. Everyone was looking at me as if to ask “what the hell happened?”. I looked back and said, “I don’t know why that just happened”. 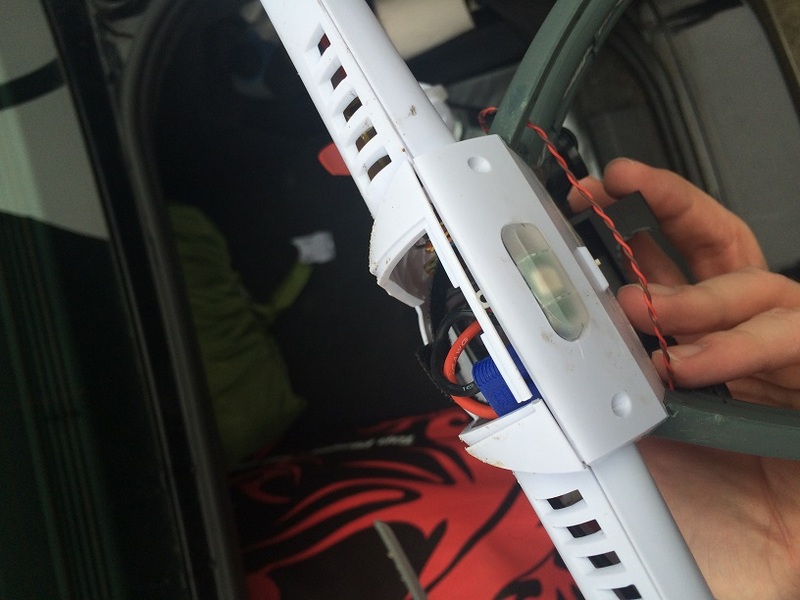 It was clearly a malfunction of the quadcopter. Now you might be questioning the low battery warning, but I checked the battery after the incident and it still showed ~4.1v on each of the 3 cells and 12.4v total battery voltage – normal for a pretty full battery. I was in the air for under a minute before the malfunction. The quadcopter has 4 flight modes, SAFE, AP (Aerial Photography), Agility and Stunt. I can only access the first 3 modes, and only in the 4th mode, stunt, is it possible to make the quadcopter go beyond a banking level of 45 degrees. That means it is not possible for it to flip upside down under normal operation in any of the other 3 modes. My transmitter is not able to access stunt mode, nor would I want to use it because you get zero assistance from the gyro, etc. 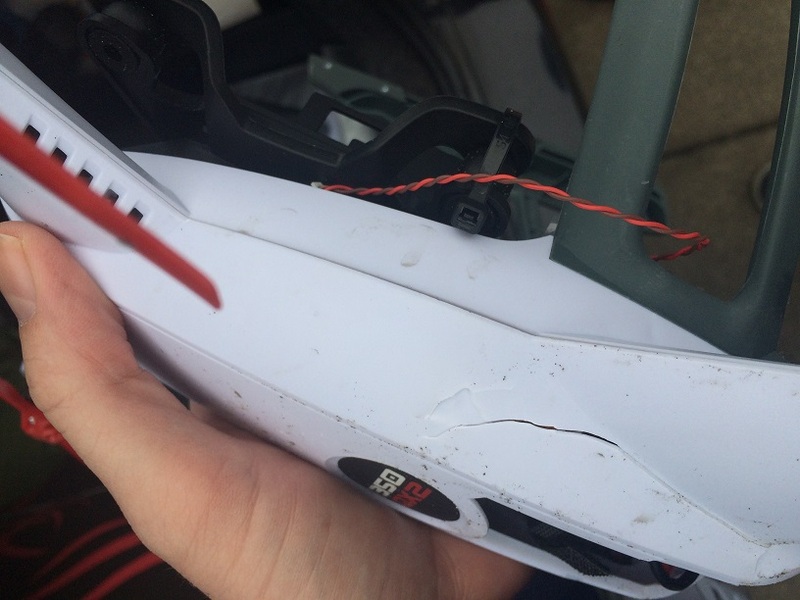 The only conclusion I could come to was a malfunction of the quadcopter’s software, however the damage was so severe that I decided not to investigate it much further as it would involve opening the quadcopter to inspect it. Instead I contacted the model shop where I bought the quadcopter and they said they would send it back to the manufacturer under warranty. I am still waiting to hear from them, but it has only been a week so it might be another week or two. I received a lot of flack from friends who are quadcopter pilots which considering they weren’t there is pretty hypocritical in my opinion. One believed that because I was near a gaming event, the masses of 2.4GHz wifi signals floating around probably caused it. I disagreed because the risk of wifi affecting it is no different there than in any typical housing estate, where I can assure you there are more 2.4GHz signals floating around than this gaming event. 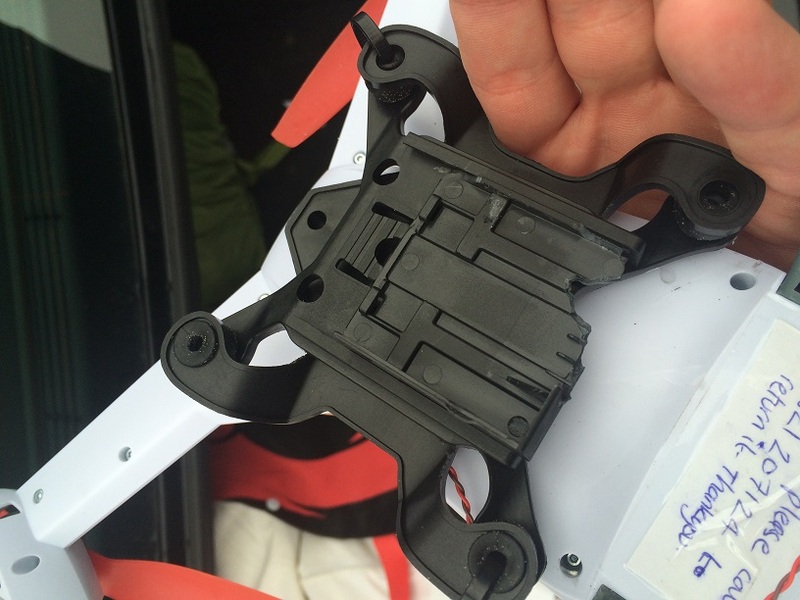 Also, the quadcopter has built in failsafes to prevent this type of interference from causing a crash. If it loses contact with the transmitter, it will go into return home mode, or land mode, depending on battery life and distance from the home point. It did neither in this case and simply dropped out of the sky. You also have to remember that there is parity involved in the communication protocol so even bad data should never have caused it. Now this isn’t the first time it’s crashed. Shortly after I bought the gimbal (around Christmas) it crashed on its first flight (and broke the gimbal I should add) after it would not respond to my input except for throttle. I had two theories. Either it lost GPS signal (as with no direction input it should hold its position – it didn’t do this) or it was a similar malfunction. It has never done it before without the gimbal attached, yet it has crashed twice now with it attached. Of course this isn’t proof I know, but it warrants investigation to see if the gimbal caused interference which might upset the processor or related components. At the end of the day I’m going to have to trust the manufacturer to find any issues that there might be with it. I hope they find one with it so they can give me a new quadcopter because otherwise it’s going to be pretty expensive to fix. 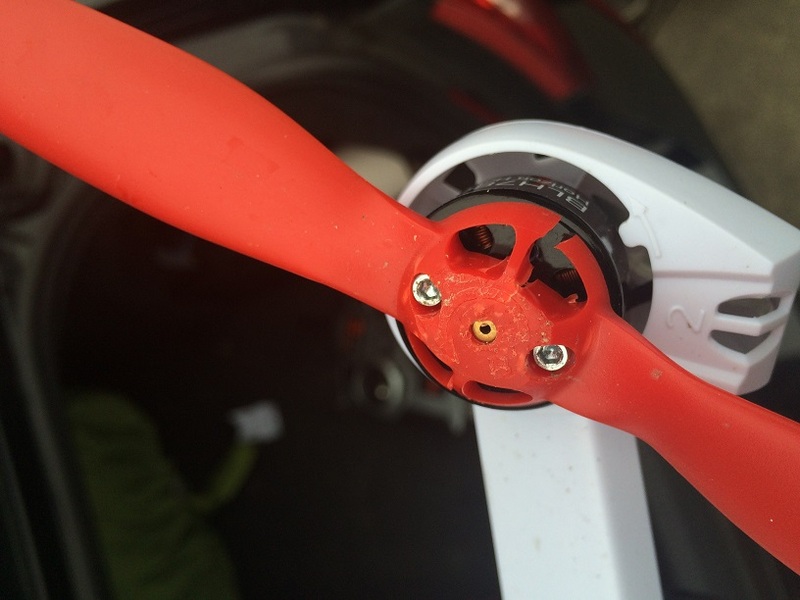 I’m looking at a new case, 4 new propellers and possibly motors. The gimbal was a write-off, I’d have to replace the entire thing (which I’m not prepared to do given the cost and fragility of its cheap plastic framework). I’ll write another post here when I get the verdict, but until then keep your fingers crossed that they find an issue.